Happiness, not material wealth, is the key to success. In life, I have always placed importance on what would establish true happiness and try to pursue it any way that I can. My true passion has always been for my wife and our family. My wife and I met in an unusual way and have been happily married for 37 years. I injured my leg running track in 9th grade and my girlfriend at the time rode her bike all the way across Lincoln to see me at the hospital the next day. Unfortunately, I had already been released before she arrived. That same girl later became my wife and we have been together ever since. Getting together with our children and spending time together on Sundays are some of my fondest memories as a family. I have a core set of values that I live by, based on honesty, integrity and respect. I apply my talents in both my personal and professional life, which makes me the person I am today and how I wish to be perceived by others. Three things that best describe me include: 1) I’m optimistic and positive, 2) I’m a good listener and 3) I’m self-confident and believe in my own abilities. Architecture is truly a rewarding profession and I’m fortunate to enjoy what I do. Providing design solutions to our clients that solve their problems and meet their needs is what gets me out of bed in the morning. My first project straight out of Architecture school was the Aviary at the Henry Doorly Zoo. I detailed the construction of ponds, waterfalls, observation decks and secured entrance and exit points that kept the animals contained in their spaces, allowing patrons to freely come and go. Instead of the usual building envelope, I was drawing netting enclosures that draped over long structural poles with plastic protective guards, where the netting came in contact with the poles to prevent it from tearing. Since that early start, I have worked on other Zoo projects including the entrance pavilion, bear grottos, aquarium and the jungle building. Prior to joining SCHEMMER, I worked on a wide variety of project types as well. Despite all of this, educational facilities will always be my specialization. It’s hard to pick a favorite project, but the Weeping Water Public Schools project (currently under construction) stands out as the one I’m most proud of. The things that we were able to accomplish together with the community were both rewarding and memorable. In my spare time, I currently serve on the Board of Education for St. James Seton School and the School Finance committee. I have never mapped it out, but work travels have sent me many places, thanks to our Argus military contracts over the past 12 years. Fun fact: I am a grandpa! 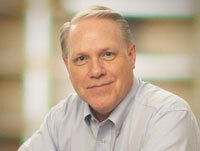 Click here to learn more about the K-12 market that Terry Wood, AIA, LEED AP, works in.